Our comprehensive collection of Vibro Shifter is available in the market with multi-deck dust proof covers. Our products are fabricated using superior quality raw components and designed on the basis of clients' specifications. 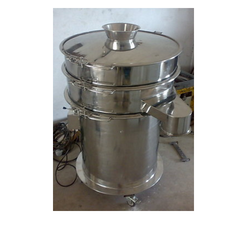 These products are used for sieving and screening of chemicals, cosmetics and pharmaceuticals. The principle of these products is vibrating, rotary and magnetic. Further more, we have made these products available in the market at very competitive prices.